Milly Wittenberg, age 92 of Winona, died Tuesday, February 6, 2018 at Winona Health, Winona, MN. 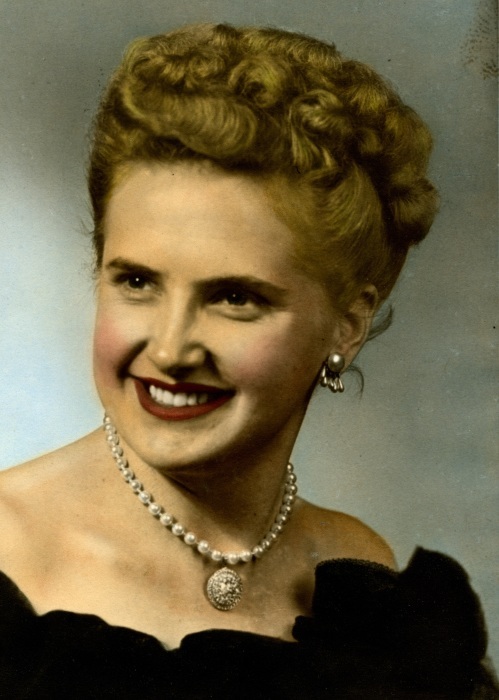 Milly was born August 16, 1925 in Rushford, MN to Lewis and Clara (Hoiseth) Eskelson. She graduated from Rushford High School. On November 15, 1951, she married Pierce Wittenberg. Milly was a long time member of the Church of the Nazarene, Winona. She worked for many years at Winona Tool and Manufacturing and after retiring from there, she ran the Better Buy Antique Furniture Store, downtown Winona until her death. Milly loved getting around Winona on her bike. She was still riding in her eighties. She also loved polka dancing with her life partner Pierce. She will be especially remembered for her great sense of humor and big heart, often helping those down on their luck. She was a wonderful mother and friend and will be dearly missed. Milly is survived by her husband Pierce, Winona; her son Bruce (Debbie) Wittenberg; five grandchildren: Jacob, Danielle, Emily, Sean and Scott; a great grandson Tristin and other relatives. She was preceded in death by her parents and seven siblings: Clarence, Vern, Norm, Ernie, Lawrence, Fran and Tillie. Funeral services will be 10:30 a.m. Monday, February 12, 2018 at Fawcett Junker Funeral Home, Winona, with Pastor Brian Sauter officiating. Interment will be at Holy Trinity Cemetery, Rollingstone, MN. Visitation will begin at 9:30 a.m. at the funeral home on Monday.